A professional officiant can make all the difference in having the wedding of your dreams. Let’s create a beautiful and romantic ceremony that you and your guests will remember and enjoy. 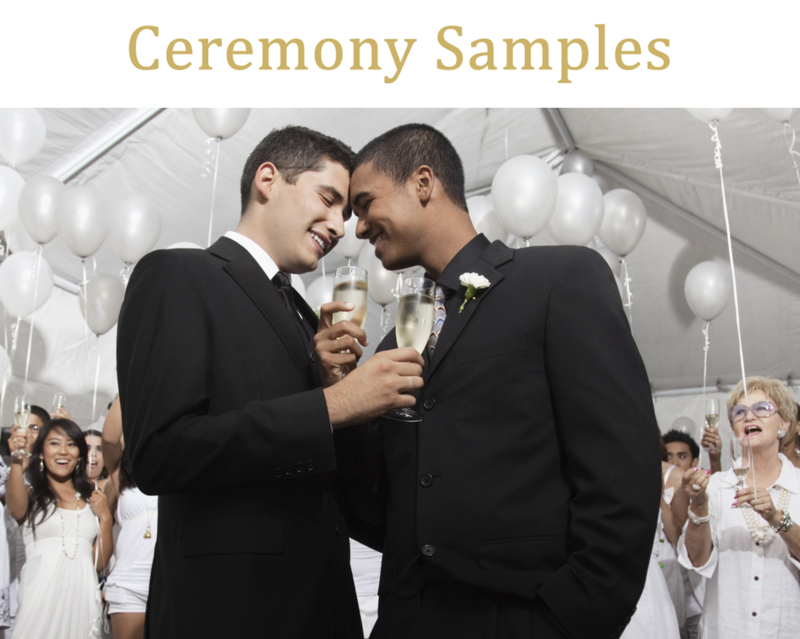 I am committed to designing a personal and fully customized wedding ceremony that incorporates your beliefs and values, celebrates who you are as a couple, and includes traditions that represent you best.